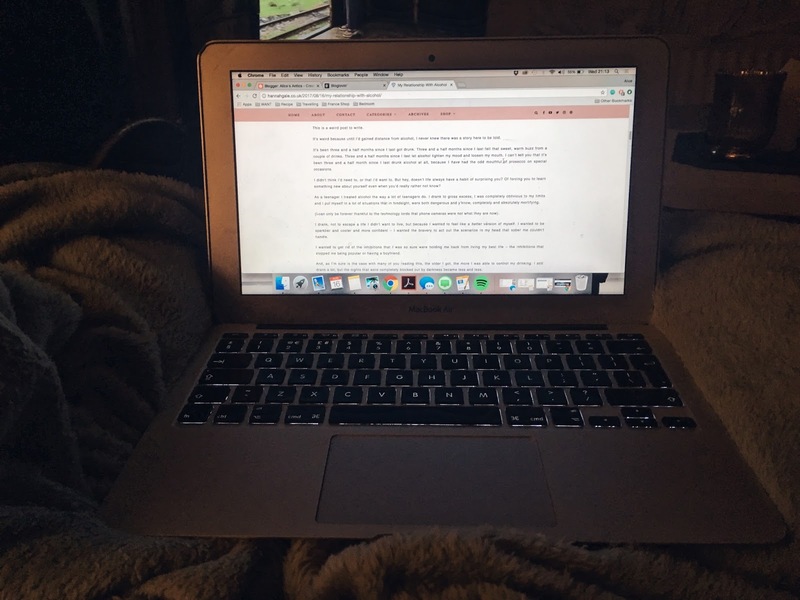 I've fallen back in love with blogging. You've probably noticed from the absolute FLURRY of blog posts at the moment, but I've just decided, why not put out as much content as I want to. So at the moment, it's 5x a week, Monday to Friday. I'm not working, and this is basically the best job in the world. But part of blogging, is obviously reading what others put out. It's not even competition, it's just because I bloody love reading blog posts, and I've read so many absolute delights recently, that I wanted to share some of them with you. A lot of people who read my blog, solely read my blog. I know this because I know how much wonderful support I get from my friends and family. But if you do decide to expand your reading, I URGE you to click on one of these links, you absolutely won't be disappointed and there's been some 10/10 stuff put out there in the last couple of weeks. The first stand out beauty post, is this one by Beauty and the Blog, about her guide to glowing skin. I'm going through some problems with my own skin at the moment, and am looking to change/invest in some products. The advice was honest, and didn't throw loads of information or products at you, which I think is so important. Staying within the skin-realm, but moving away from care and more into beauty itself, is Emmy's post about Radiant Glowing Skin for All Skin Types. I am all about the glow. Give me highlight, give me dewiness, give me anything which avoids a matte skin finish. This blog post is fantastic for an insight into achieving glowing skin, but it may harm your bank account (the Laura Geller Baked Body Frosting is already in my basket). I don't think I could possibly write a blog post about my fashion without What Olivia Did being in there. I am so in love with her effortless style, and this blog post, The Spotted Midi, has actually made me put a huge range of midi dresses into my asos basket. I just love spotted patterns, it reminds me so much of the 50s and a midi dress is a great, summery way to flatter almost any body shape. This extremely dark peanut butter protein cups from Simply TaraLynn recipe may just be my dream come true. I'm making a huge effort to get back into my fitness at the moment, doing HIIT and LIIS on alternative days and trying to get my exercise in before the day is started. I've saved this recipe for when I come back from France as a great way to get extra protein, and filled with dark chocolate, what's not to love? On the other side of the health spectrum, is this Plum Gin Fizz recipe from Heroine in Heels (bonus points for the plums though, right)?! Gin is always my drink of choice and there's not much more to say with this than that it sounds absolutely delicious, and I'm very excited to try it out - I'm also sure it could work with other fruits too so the gin world is our oyster! Blogging goddess of the world, Hannah Gale, knocked it out of the park only today with her blog post on her relationship with alcohol. It's raw, honest, and it made me think a lot today about why I drink, what makes me drink, and my own relationship with alcohol. Definitely give it a read. This blog post by James of Bleu Bird made me want to jump up and start my day over. As I mentioned, I'm having a health and fitness do-over at the moment. And this blog post gave some realistic advice for how to start a wellness journey. In complete honesty, I'm not all about the 'wellness' hype. I think a lot of the time it sends counter-productive messages to very impressionable young adults. However, this blog post was quick and honest and thorough, and I needed to read it. After revealing how I've quit my London job to move home and travel the world, travel is currently top of the list of blogs I'm reading at the moment. This one about the train which takes you down the West Coast of America made me yearn to pack up and go travelling tomorrow. World of Wanderlust's guide to Mykonos is probably an interesting choice for me, because I've actually been to Mykonos. However, I find it so interesting seeing places from other people's perspectives and she mentioned things I didn't do and I did things she hadn't done either. But the photos in this blog post were beautiful and made me want to go back so much. Please do let me know anything you're enjoying reading at the moment!